This was a great topic choice. 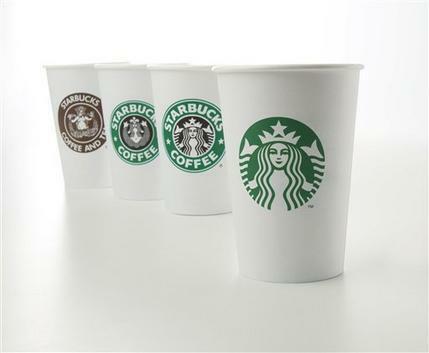 I would agree that McDonald’s and Starbucks have thus far done an excellent job of staying market leaders. I think America as a whole will fore go consuming the higher quality coffee and therefore McDonald’s will eventually stand alone as the market leaders. Very interesting to see these two conglomerates within the same post! Definitely a great topic choice as the person above me also noted. To be honest when I read that their focus is of recently international expansion I was surprised. That is, I thought they had been focusing on this for the better part of half a decade. it seems like since I was in high school, international expansion was the hot topic. When I think about product diversification I strangely separate these two companies. Thought, without much thought McDonald’s seems very diversified with a highly selective menu. Although with more thought, they really are fairly limited over time for their choices. And for Starbuck’s simply put, there is only a certain number of combination of coffee and pastries before there is no longer a diversification. So yes, I very much agree that a focus on diversification is necessary and would argue that it is the most important of all that was supplied in your article. The concept of a going concern does seem an easy “check mark” for both of these companies, although you pose an interesting question because over time I guess there could potentially be a rapid decline of demand and thus Starbuck’s and McDonald’s could see an inability to keep up with their respective industries! These companies discussed are power houses. It doesn’t surprise me that these companies are looking for expansion. It wouldn’t surprise me if they haven’t thought of space exploration. Honestly, it seems like the planet Earth just doesn’t yield enough profit to cure their appetite. Anyway, both of these companies seem extremely diversified in their trade. For example, Starbucks allows you to drink whatever you want and is even exploring an alcoholic option. Also, McDonalds offers every meal for every type of consumer. In the future there is always a possibility for rapid decline no matter what industry or what company. That is why these companies need to get the money while it’s available so they can sustain a rapid loss if need be. This was a very interesting post and an enjoyable read being that these two companies are ones that we see on almost every street corner in many cities in the United States today. I agree with your statement and with the posts above that these two companies have what it takes to keep up and be some of the tops in their industries. Furthermore, I currently work for Starbucks Coffee and see first had the product diversification methods that the company takes. For example, the company for almost every season will produce a new drink or food product for their menu and the amount of people that try these new drinks are astounding. Even regular customers who get the same thing every day will generally stray off their “go-to” drinks at least once just to say that they have tried it. Additionally, I agree with your statement that these companies new product innovation techniques are what will keep them on top being that people love always love to try something new. As the comments above me, I agree this was an interesting read. However, my comment is that McDonald’s actually reported profit loss in the last few months, which they are accrediting to the recession. I’m not so surprised they’re focusing on international expansion because in other countries, McDonald’s, especially, is viewed as a more upscale restaurant. Regarding diversification, McDonald’s reported that they are removing the triple pounder because they are looking for tastier options, and Starbucks actually is starting to serve alcoholic beverages. I don’t see these companies falling off the grid any time soon. They pay people the big bucks to keep coming out with new concoctions. These two companies have a huge organizational structure. There are people constantly working on innovations for the companies. Their Managerial strategies are bound for success yet they really are quite different when you analyze them both. There are two different types of customer they target. McDonald’s had free coffee Mondays for weeks as well as the usual $1 any size coffee this is at most a third of what is costs for Starbucks coffee. Starbucks offers high quality Arabica beans for multiple regions and works hard to provide an environment that makes the customer feel a human connection and an atmosphere like a third place from home. Internationally they have different strategies. if you walk into a McDonalds in China you may believe you are walking to one in the U.S. because they ensure consistency. If you walk into a Starbucks in India or China there are hardly recognizable because they adjust what is provided based on the tastes of their consumers. Even Canada offers different pastries. This is very interesting topic that there is no doubt that Starbucks and McDonald’s are doing great to stay in market. When it comes to coffee and if I compare all this three companies, Dunkin Donuts, Starbucks and McDonald’s they are have different quality of coffee and is up to customers what they prefer to drink. I have friends that some like Dunkin Donuts coffee because is reasonable price, some like Starbucks because it taste better and on other hand some like McDonald’s because is cheap. So is all about quality that what this three companies are offering. Great post! Since you mentioned these companies growing internationally, McCafe is very popular in Europe, far more than Starbucks. McCafe in Europe is far more “Starbucks-like” than in America. In fact, they are separate from McDonald and have their own seating area. I was very surprised to see that when visiting Europe last winter. If McDonald is to make McCafe successful in America and persuade customers about the quality of their coffee, they must get away from the McDonald’s “cheap” image. Launching the McCafe was a great move for Mcdonalds. They focused on quality, and still were able to offer a great product for much less than one would pay at Starbucks. Both companies continue to grow and expand their product lines at a staggering rate. This is key in a highly competitive industry like this. I believe McDonalds can sustain its success in the industry based on its sheer size and ability to reach so many potential customers. It is hard to compete against such an enormous company and I would say McDonalds is the clear leader in the fast food industry. They have no viable threats to their existence and have been around for so long that they are almost engrained as a part of a consumers life. I also feel the same about Starbucks since they also seem to have a store literally around every corner you turn. I see these companies maintaining their hold on their markets due to their enormous size, influence, and quality products they offer. 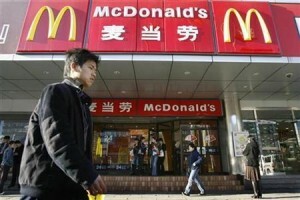 I really like this article because I have seen how McDonald’s operates in another country. When I went to Italy they were just as big as they are here. They even had a walk up window in Bari so you dont even have to walk in. They adapt well to the countries and are always changing something with the menu. 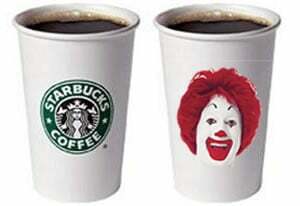 It’s crazy to think that McDonald’s is starting to take over the coffee and breakfast industry over Starbucks. Very interesting blog post because of the comparisons between these two major worldwide organizations, each similar and different from one another in their own right. One focuses primarily on coffee, whereas the other offers a wide variety of food and beverages. However, both are thriving as two of the largest companies in the world and seem to focus on similar business strategies that push product and service quality. I agree with one of the previous comments stated that pointed out the fact that McDonald’s continues to grow as a premium coffee provider and that their lower costs may steal away a good portion of the market share from Starbuck. It will be intriguing to see what happens in the years to come between these two corporate conglomerates. I am unsure. I don’t think that there is going to be a place to grow at certain points in time. Other times we have much room to grow because trends and social interaction change, therefore their management changes. It is interesting that McDonalds was second to Starbucks for a while. I would have thought it was the other way around but I am mistaken. I guess it is as simple as eliminating the weakest link.